Today, Vegan MoFo would like me to tell you about my favourite herb or spice. There really was no contest here, my favourite spice is paprika all the way. We Mexican food quite regularly, and all our Mexican dishes contain paprika. I really wanted to create a dish where paprika is the star of the show though so I decided on goulash, where paprika is really the only spice used. 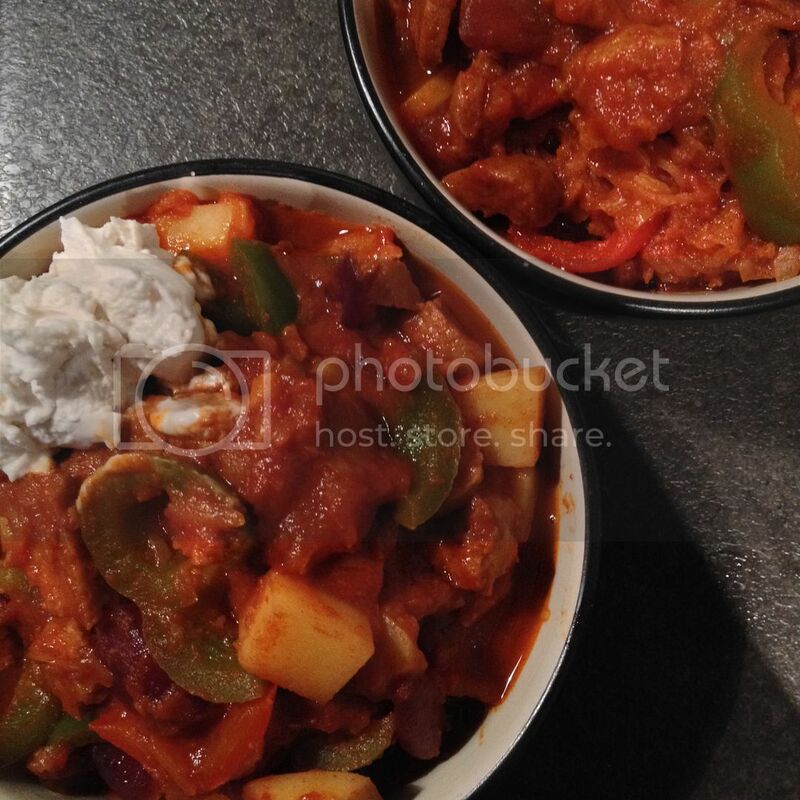 I love goulash, it's a real wintery comfort food. Who can resist a big bowl of hot, thick, tasty stew on a cold day? It always reminds me of our honeymoon in Romania, as the area that we stayed in had a large Hungarian population and the food reflected that. If you ever want to to go Romania, I can't recommend this place enough - Count Kalnocky's Guesthouses. We went for the all inclusive option, which meant we barely spent any money while we were out there. I was extremely well catered for, which was awesome! Just make sure you let them know about your dietary choices in advance and they'll prepare excellent vegan versions of the meals. All the excursions were included too, and our guides either brought a packed lunch or took us out to eat - they even bought us our snacks! Goulash is one of those dishes that varies country to country, area to area, and even household to household. Goulash (gulyás) is traditionally made with beef, onions, paprika, green pepper and tomatoes. It falls somewhere in between a soup and a stew but the consistency varies depending on the chef. I replaced the beef with seitan, added a red pepper along with the green and more tomatoes than most recipes call for - so I don't know how authentic it is but it's damn tasty! 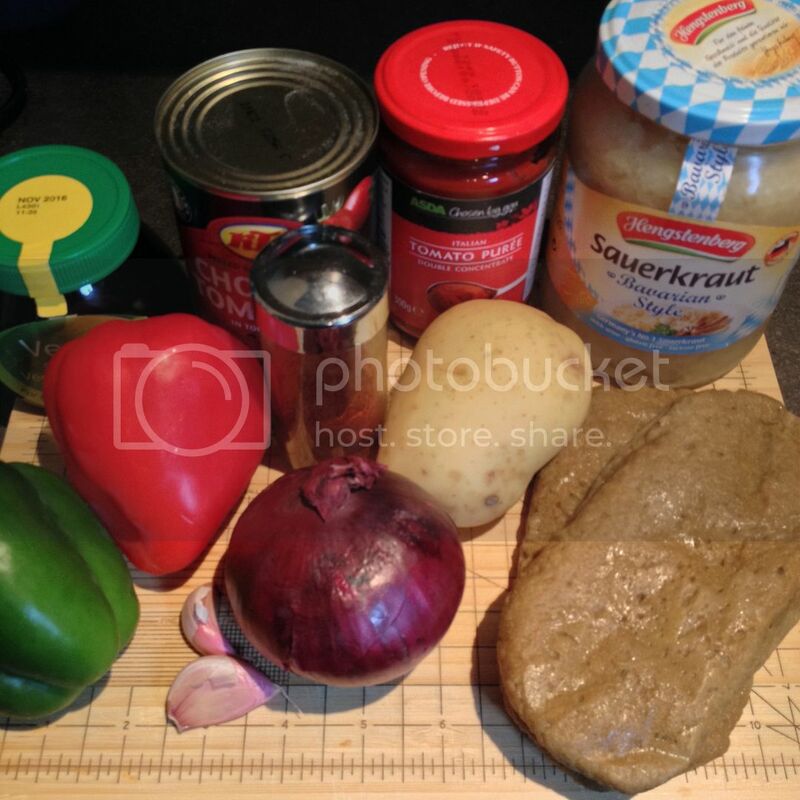 I also added sauerkraut this time, as I spotted it as a variation while researching this post - it's called "székelygulyás" when you add sauerkraut. 1. Saute the onion and potato for around 5 minutes, until the onion begins to soften. The potato may try to stick to the pan - if so you can add a splash of stock to loosen it again. Add the garlic and cook for another minute. 2. 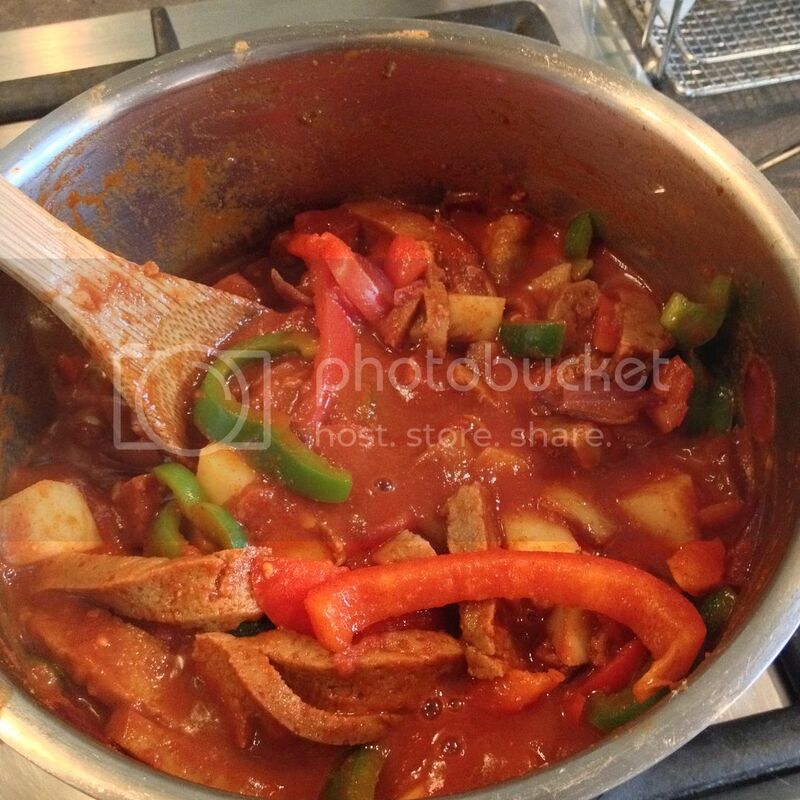 Add the seitan steaks and cook for another 5 minutes, stirring occasionally. Add the peppers and cook for another couple of minutes. 3. Add the stock, tomato puree, chopped tomatoes and paprika. Stir through, bring to a boil and then reduce to a simmer. Cook over low heat for 10-15 minutes, until the potatoes have softened. 4. Add the sauerkraut and cook for another 5 minutes or so until everything is hot. 5. Serve with a dollop of vegan sour cream (or in this case, cream cheese). Today's randommofo find is this post about Brussels Sprout Waffles by Vegany One. There have been a few waffle posts this year - or maybe I've just noticed them more after following Hasta La Vegan's epic month of waffles!